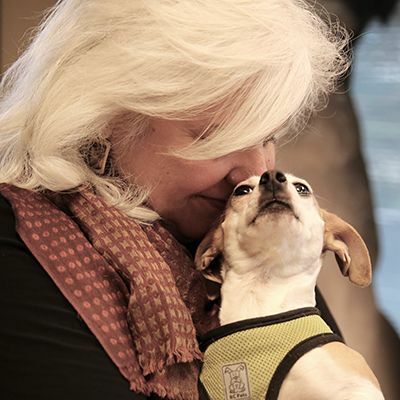 Maddie's Fund® has given the Berkeley Alliance for Homeless Animals Coalition (BAHAC) a $474,000 Maddie's® Lifesaving Award* for achieving and maintaining an adoption guarantee for healthy and treatable shelter dogs and cats in Albany, Berkeley, Emeryville and Piedmont, California. The Berkeley Coalition is the first in California to achieve community-wide no-kill status (saving all healthy and treatable shelter pets), and is only the third to receive Maddie's® prestigious Lifesaving Award nationwide. The BAHAC is made up of three organizations. Each will share in the grant according to their 2007 adoption performance. The recipients are: Berkeley-East Bay Humane Society ($200,240); Berkeley Animal Care Services ($176,320); and Home at Last Animal Rescue ($97,440). In spite of the fact that many of the animals awaiting adoption at Berkeley Animal Care Services are pit bulls and pit mixes, and that as many as 40-50% of the animals at Berkeley-East Bay Humane Society and Home at Last Animal Rescue are elderly, FIV positive, in need of extra socialization or have other treatable conditions, the live release for the coalition is 93%. Intake for all organizations in 2007 was 2,570. "Maddie's Fund is proud to reward this incredible lifesaving accomplishment," said President, Richard Avanzino. "Although an adoption guarantee has been in place for the past six years, the Berkeley coalition has operated under the radar in the Bay Area shelter community. We hope these outstanding East Bay organizations will now receive the recognition they richly deserve." The Berkeley-East Bay Humane Society will focus the added resources on older cats and dogs and treatable pets; Home at Last Rescue will use the award to pay veterinary expenses and create a reserve fund to weather the recession; the City of Berkeley will apply its grant money to a new shelter and existing programs.